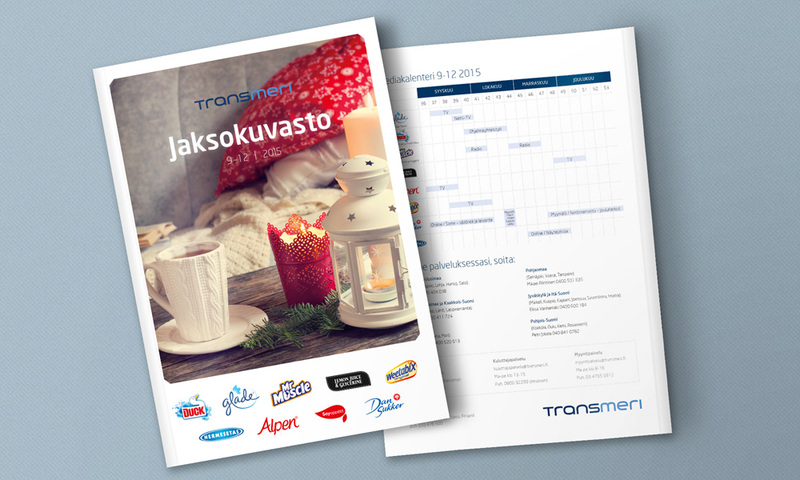 We will make sure that all your marketing and communication materials are coherent in all printed materials. We manage the whole process from creative design all the way to the production of even most demanding details. We can design new visuals for you or update existing layouts according to your needs. Magazines help to build corporate image and serve as an effective communication channel for reaching target groups. We will help you to create visually eye-catching layouts that attract readers to familiarize themselves with the magazine and improve your message coverage. 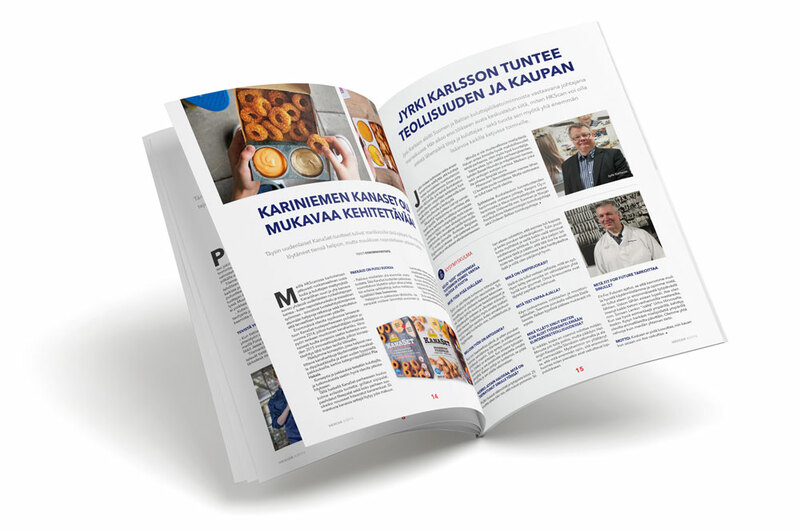 We can help you to design the layout for the magazine and for different language variations. In addition to the printed version, we can also make an online magazine / pdf-publication that you can publish on your web page. We design and produce variation of brochures, catalogues and orderbooks innovatively and effectively. We make sure that the visual layout follows brand guidelines and all information is presented in eye-catching manner. Our professional team takes care that images and product images look great in printed material. When needed we can use automation in product catalogue creation, where product data is transferred efficiently and securely to the layout. Through our years of professional expertise, we have created multiple magazine and newspaper advertisements for our domestic and foreign client brands. We always process the advertisements to meet the particular printing format and through colour proofing we make sure that the print quality is excellent. We can also handle delivering the print ready material to publishing channels according to agreed timetables and media list. We create innovative exhibition and event promotion materials that follow your brand guidelines. 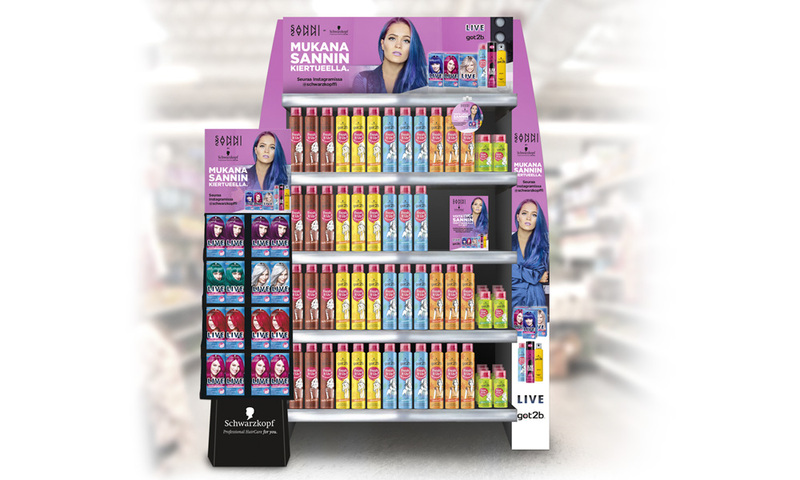 With a successful promotion and store lookout you attract potential customers and increase your sales. We design displays and sales material structures together with print houses and we can offer you solutions ranging from simple shelf speakers to entire exhibition stands. If you have an idea that you would like to try out, let us help and we can find the right solution together. 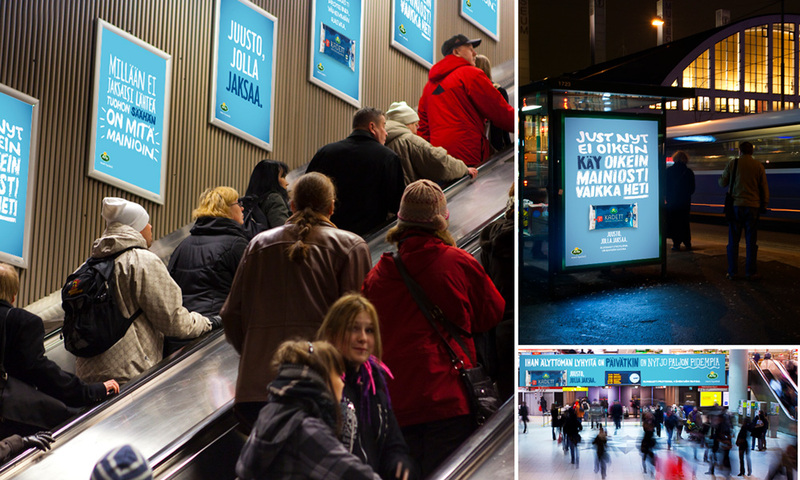 In outdoor advertising we take care of all your needs regarding advertising in public areas, such as shopping centres, roads and streets, train stations and airport. In outdoor advertising, our special expertise is to combine visual and eye-catching images with desired message content so that the overall look remains excellent even in large-format prints. In addition to traditional outdoor advertising, we also recommend you to look at our digital outdoor services.